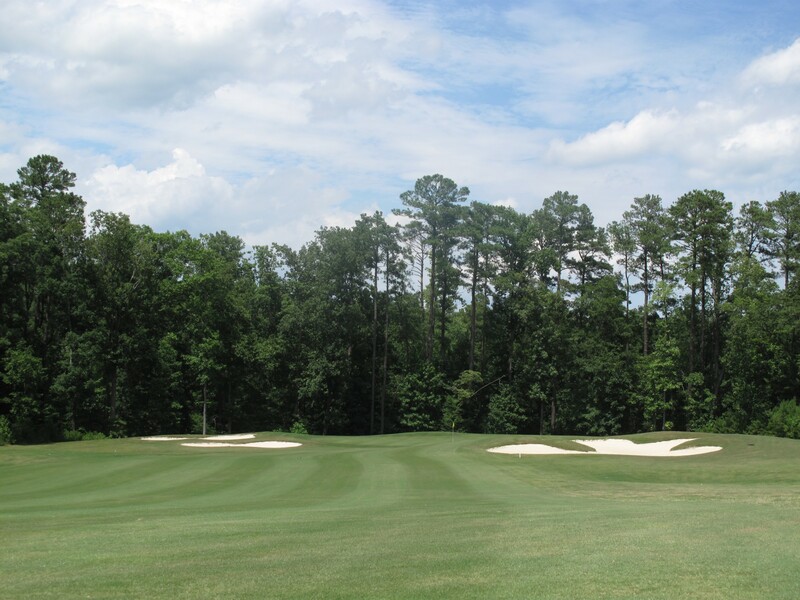 Ranked #10 in Eastern North Carolina by 2012 North Carolina Golf Panel and one of the top 100 you can play also by the North Carolina Golf Panel. The Belmont Lake Golf Club course is a masterpiece. 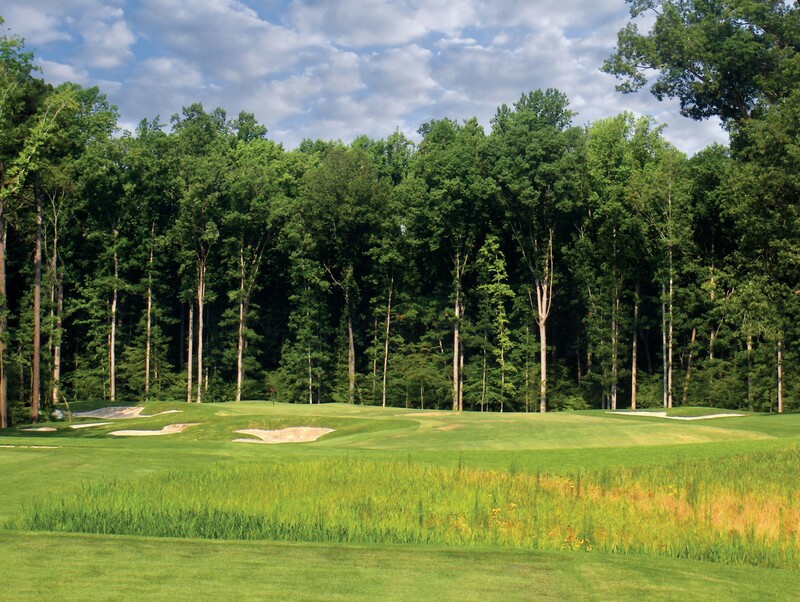 Utilizing a classic front-nine out and back-nine return routing, the course takes full advantage of the gently rolling terrain in offering a unique golfing experience. 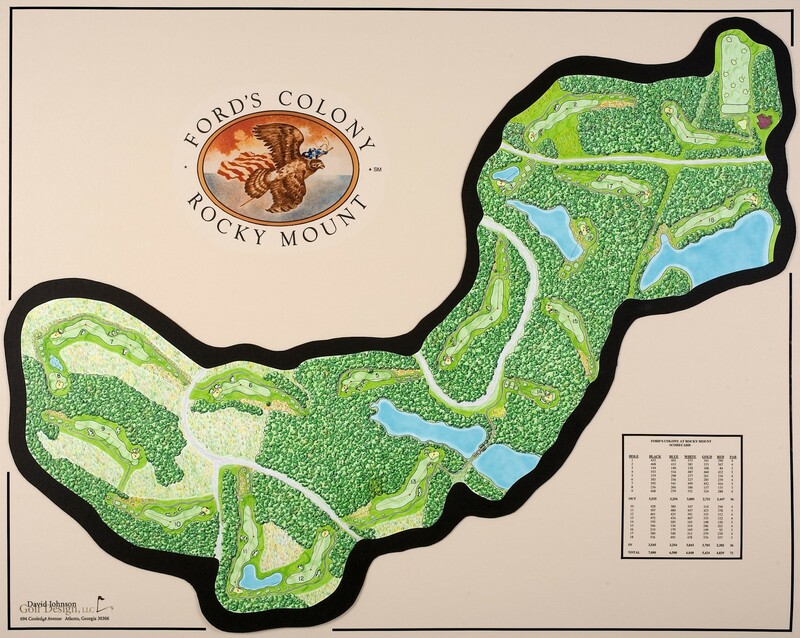 The golf course design presents the ultimate in variety and contrasts. While most of the holes flow through woodlands, there are a handful of holes without trees where wind will play a dominant role. There is a nice balance of dogleg lefts, dogleg rights, straight holes, large greens, small greens, and a wonderful variety of hole lengths. Among the par threes, the 3rd and 8th holes are stark contrasts. 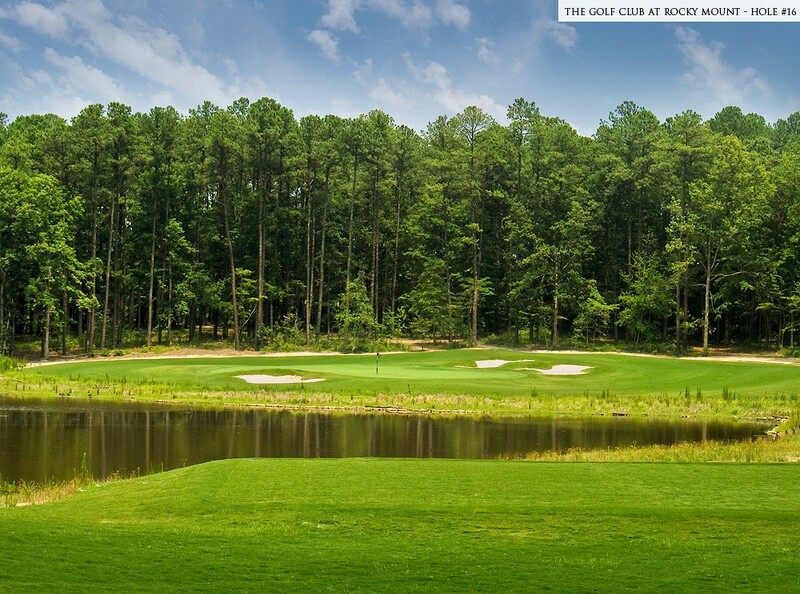 While the third (144 yards) requires a precise shot over a pond to a small green, the eighth is a long, bunker-free hole (236 yards) with a large green that encourages a run-up shot. Likewise the par fours and fives showcase variety. The 468 yard, par four 2nd hole is a beast with directional bunkering while the 319 yard, heavily bunkered, 5th hole is a drivable par four where a wide range of scores is common. Among the par fives, the 507 yard 11th can be reached with two heroic shots, one of which must contend with a pond, while the 602 yard 7th is a true three-shotter with few hazards. And don’t forget the 18th, a 526 yard par five that skirts along the edge of Belmont Lake; sure to be the site of high drama. The design emphasizes strategic play and the demands asked of the player escalate as you move from the front tee to the back tees. While the back tee player must contend with a few forced carries and cross-bunkers, the front tees offer playing angles where many of the hazards (bunkers, ponds, etc.) do not come into play. Each hole allows run-up (ground) shots to at least a portion of the green and most holes have bail-out areas for more conservative players or those wishing to play away from hazards. Belmont Lake Golf Club is a challenging, fair test of golf that provides interest, variety and excitement for players of all abilities. 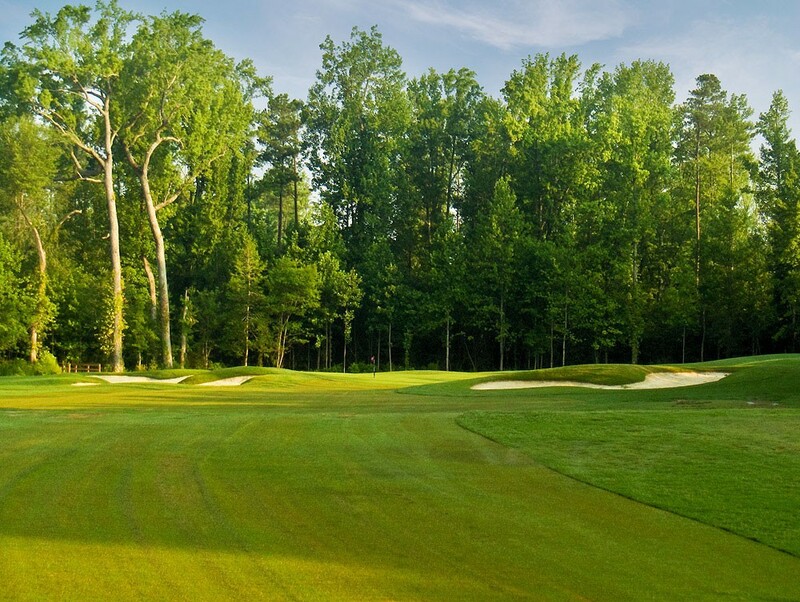 The first hole at Belmont Lake Golf Club is a solid par four that sets the tone for the golf course. While the tee shot is fairly open, the degree of difficulty increases around the green. Trust the yardage on your approach shot and aim over the “fore” bunker (a bunker set well short of the green that appears to be at the green’s edge) towards the right side of the green. The slopes and mounds just right of the green will tend to kick shots back towards the green’s surface. Don’t be fooled into thinking that the shortest hole on the course is an easy one. The picturesque par three, while only 144 yards from the back tee, is sure to test one’s nerves early in the round. The small green is guarded by a pond front and right and two bunkers in the back left. For the less daring player, a bail-out area left of the green makes a great target. Potentially drivable by longer hitters, the short par four fifth is a classic example of risk versus reward and will yield a wide range of scores. The aggressive player, who takes a direct line at the green, will have to contend with a trio of bunkers on the left side just short of the landing area. Balls landing left of the bunkers will likely carom into wetlands. The more conservative tee shot is aimed at the far bunker on the right. This will leave an open, delicate approach to a long, narrow green that slopes away from the shot. Pars will be elusive on the stunning dogleg left, par four thirteenth. The tee shot stresses distance and presents a very wide fairway with a target bunker. At the turn, the hole sweeps spectacularly downhill to a very large green with a panoramic view of Belmont Lake in the background. Be sure to avoid the “fore” bunker, located about 40 yards short and right of the green. 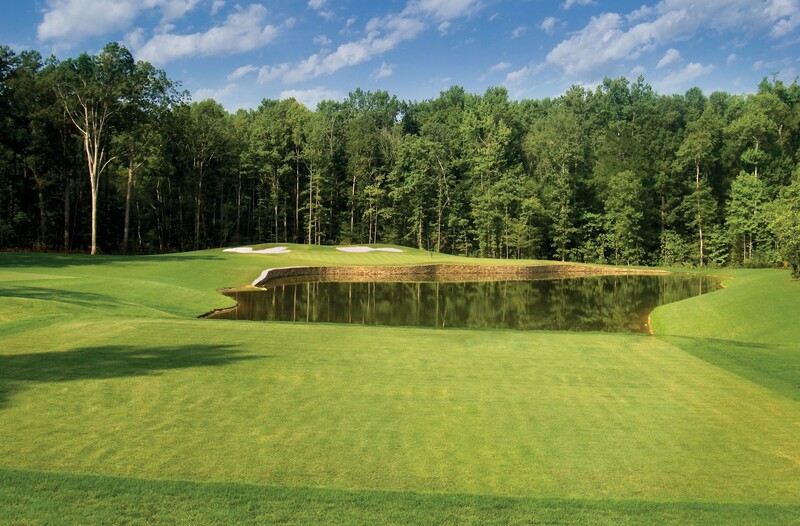 The spectacular par three sixteenth is sure to be a pivotal hole in any match. It’s all or nothing on the tee shot as mishit shots will find a watery grave. The large green, protected by three bunkers, is angled diagonally from the tees. The front-right section is better suited to accept draws and the back-left section better for fades. To accommodate players opting for the shortest carry over the pond, there is a sizeable bail-out area right of the green. A reachable par five closing hole seems to lead to the most dramatic and exciting finishes in golf. The eighteenth at Belmont Lake Golf Club is one such hole. Playing across a finger of Belmont Lake on the tee shot and running parallel to the water for its entire length, the hole has the potential to numb golfers with its beauty. While the tee shot is straight forward, options abound on the second shot. Go for the green? Lay-up? 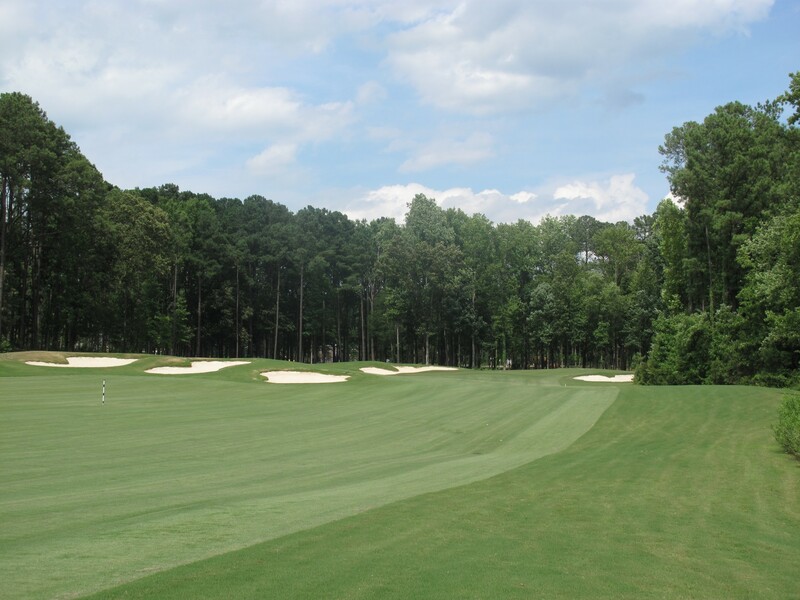 Daring players can go for the green by carrying the cluster of elevated fairway bunkers 100 yards out and using the natural cross slope to feed the ball towards the green. There is also plenty of room to lay up short of the cross bunkers, leaving a medium length approach shot to a large, undulating green.